The new PoopBags Handle Tie bags are super wide, and easy to tie closed. A perforated cutout on the box makes dispensing these bags a breeze. 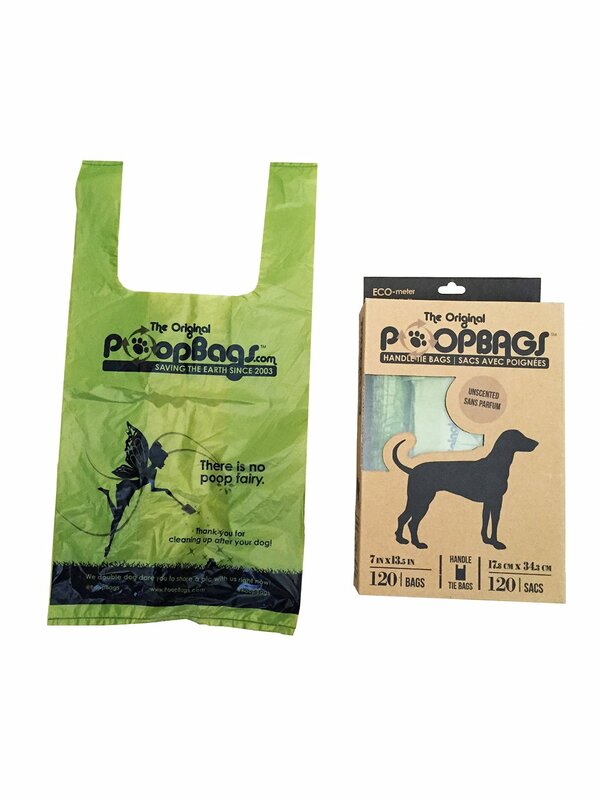 These bags contain TDPA Technology from Environmental Products Inc. Also great for kitty litter!